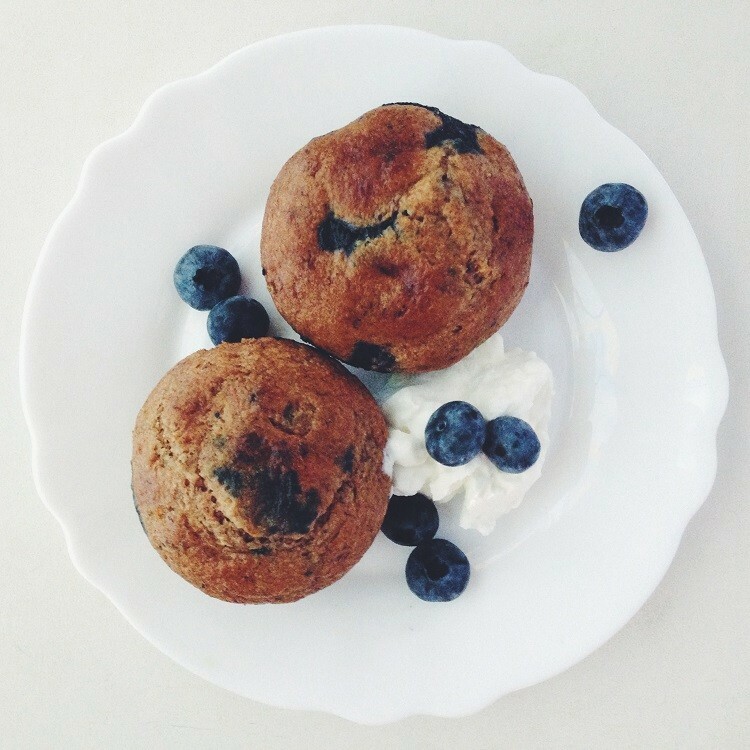 Blueberries and muffins are one of the best combinations. I think we can all also agree that banana bread is really delicious and moist. So why not use banana in the muffin batter. And add blueberries of course. This recipe combines all three perfectly. 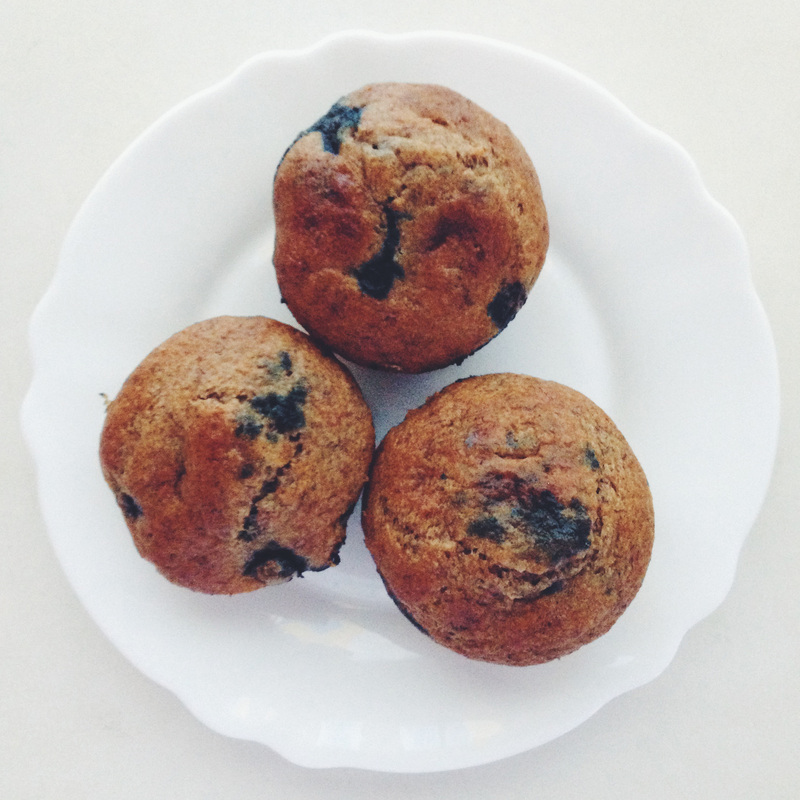 You can make these muffins a day in advance and have them for breakfast the next morning. They taste even better. 1. Preheat oven to 160 degrees Celsius. Spray 15 muffin tins with nonstick spray (don’t use cupcake liners because the will stick to the muffins). Set aside. 2. In a large bowl, gently toss the flour, baking soda and salt together until combined. Set aside. 3. In a separate bowl, mix the honey and brown sugar together – it will be thick and lumpy. Try to get out as many lumps as you can – a fork works well to break it up. Add the mashed banana, yogurt, and beaten egg. Slowly pour the wet ingredients into the dry ingredients. Gently begin to fold it all together. It will be very thick. Add the milk slowly and continue to gently mix the ingredients together. The milk will thin everything out, but the batter will still remain thick. Gently fold in the blueberries. 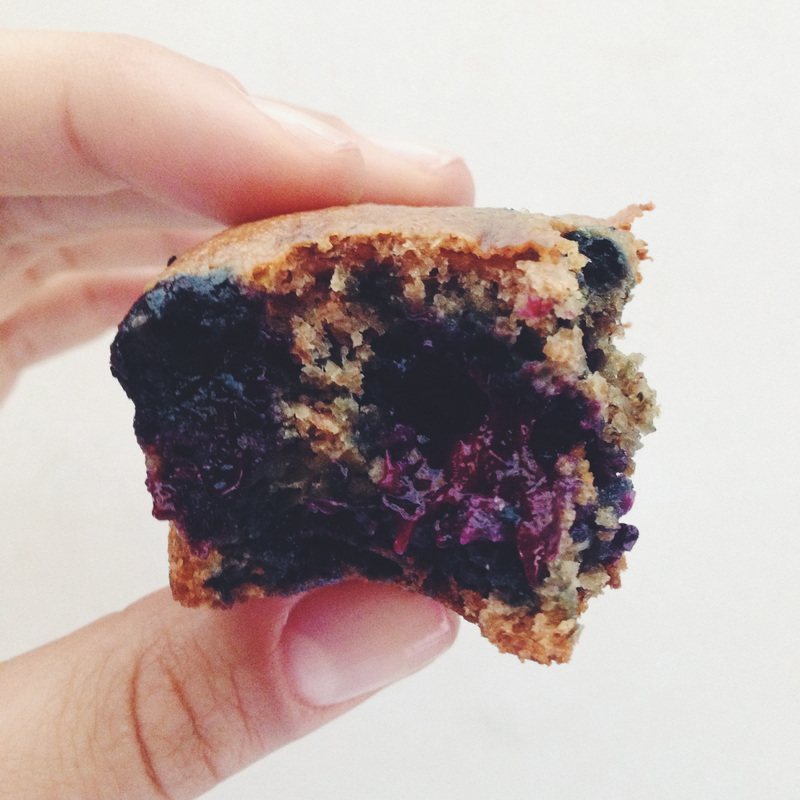 Do not overmix the batter, which will lend tough, dry muffins. 4. Divide the batter between 15 muffin tins. Fill all the way to the top. Bake for 17-18 minutes OR until very lightly browned on the edges. A toothpick inserted in the center should come out clean (unless you are »lucky« and hit a blueberry with it). 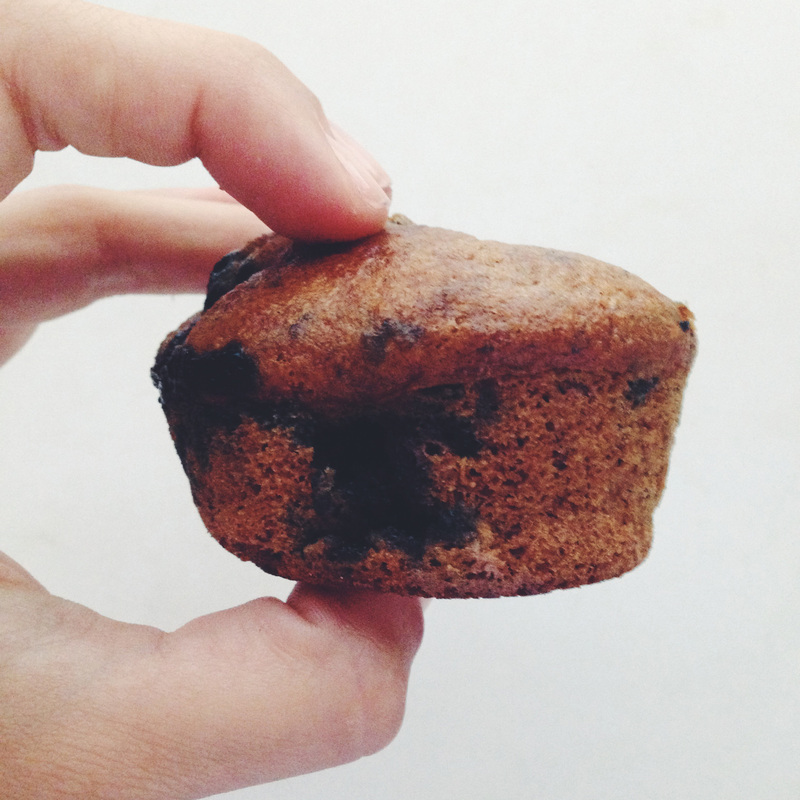 Allow the muffins to cool completely before removing them from the tin (this is the hardest part! ).